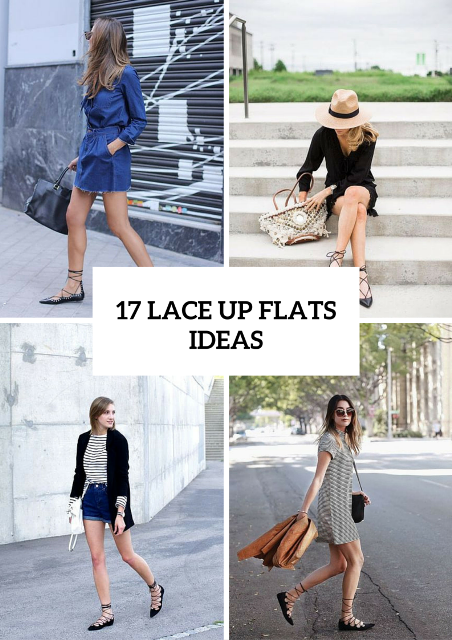 We continue sharing trendy shoes ideas for this spring, and today we’ve collected some stylish outfits with cute lace up flats. These shoes look so feminine and of course they are very comfy. Depending on the situation and place where you’re going you can combine them easily with other clothes and accessories: pick up mini and midi skirts or dresses, skinny or boyfriend jeans, cuffed trousers or jumpsuits, white blouses or funny t-shirts. If you wanna create more eye-catching images, choose colorful lace up flats or printed ones (for example, with leopard print). 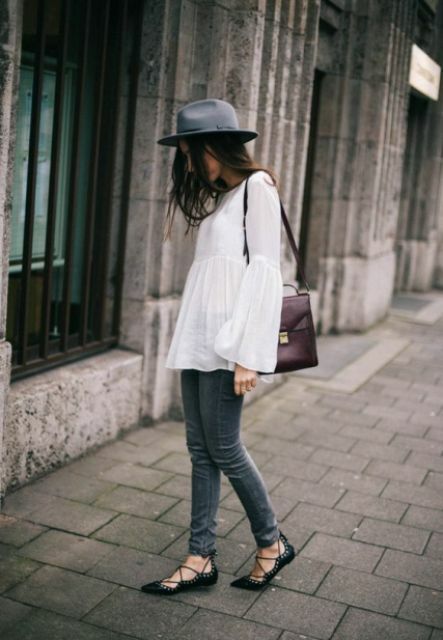 For more fashionable ideas look below and get inspired!